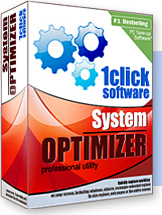 Digeus System Optimizer is the smartest way to solve computer problems and protect your valuable data. This easy-to-use software helps you eliminate system crashed, prevent computer problems, and restore your system to a healthy state. Registry cleaner safely cleans, repairs and optimizes the Windows registry with a few simple mouse clicks! Problems with the Windows registry are a common cause of Windows crashes, slow performance and error messages. By using a registry cleaner regularly and fixing registry errors your system will be more stable and run at peak performance. Keeping the registry as compact as possible means better computer performance. Registry Defragmenter is fast becoming a useful and essential tool in keeping your registry defragmented. As a result, the Registry becomes compact and small, greatly improving your computer performance. Junk Files Cleaner allows you to find and remove various types of junk and unnecessary files from your computer. Many of the Windows applications create junk files. Normally, such files are deleted by the application that had created them as soon as it did not need them. However they may remain permanently on your hard drive if there is an unexpected termination of the parent application, a system crash, etc. Full of photos, books, movies and music ? Duplicate Files Finder can find duplicates of any files: text, binary, music, video, images, etc. It will scan your system and at the end will give you a list of duplicate (identical) files, so you can remove them to reclaim your hard disk space. Works with removable media devices like Floppy, USB, etc. When your hard drive fills up, the quickest way to find out which files are hogging the space is to use a specialist utility that displays your disk space usage visually. Disk Space Analyzer generates chart showing disk usage distribution according folders and files. Smart Uninstaller is a tool designed to help you keep your system clean by removing unwanted applications and broken Registry links. The program analyzes "uninstall" link information for applications that you have previously installed on your system. It checks whether or not these links point to existing files and helps you uninstall applications that you no longer need. Do you know that there are lots of services and drivers that work in Windows in background? They consume CPU and Memory resources. Do you need all of those services and drivers? Are they configured optimally to serve you better? Service Manager offers interactive way to configure services and drivers and stop ones you don't need. This program offers a solution for taking control of the programs that are loaded during Windows startup. You have the ability to enable, disable, add, edit and remove programs from being loaded at the start of Windows. It also has the ability to store the startup information in several areas of the computer. Privacy Protection is an innovative solution for your online privacy issues. This program is equipped with features such as cleaning the secret index.dat file, typed urls, cookies, cache, most recently used data among other things. It increases the speed of your PC by removing all unnecessary files and makes more hard disk space available for use. It also removes all traces of applications and internet history. Click here to run a FREE scan. Two minutes of scan and you will be amazed at how many problems your operational system has. installed and configured on your system.